Trees are far more bottom-heavy than top. 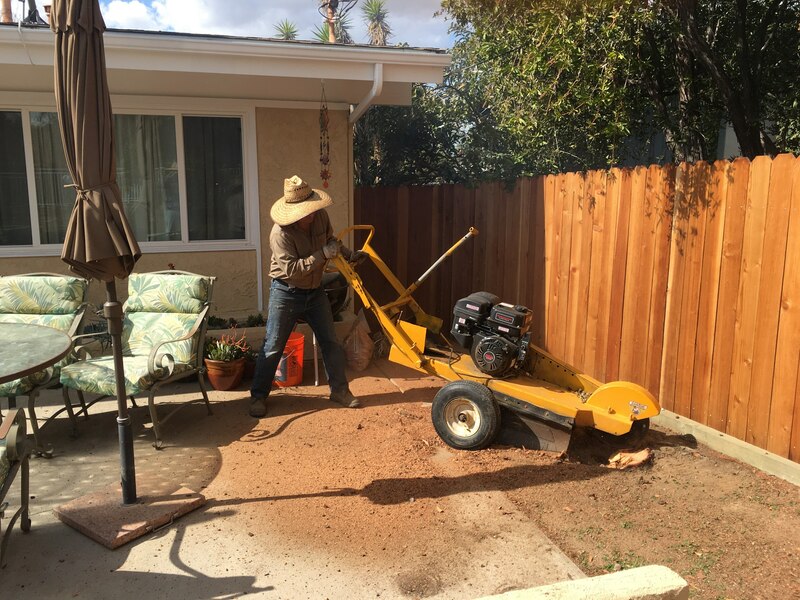 There are also other types of stump grinders that are applied to tractors, excavators and other construction equipment. These machines can completely remove the roots of the trees in a few seconds or recover the central part of the roots. Vertical stump grinders are usually used in forests, for plant biomass, for the forestry sector, and for the maintenance of green areas, etc. They can destroy an entire root of 50 cm (20 in) in diameter to more than one meter deep in 30 seconds. Studies have shown that the normal stump grinder (with disc and teeth) can eliminate most of the first 20–25 centimetres (8–10 in) of stumps, but for stumps with a bigger diameter the problem is not solved as the plant can start growing back. Instead, a vertical stump grinder can completely destroy tree stumps of up to 150 cm (59 in) in diameter permanently. They can be applied on tractors (the mechanical versions) and on the excavators and others earth moving machinery (the hydraulic versions).